When I read Keats’ Ode to a Grecian Urn the first time in 8th grade English, the first thing I thought after finishing it was puhleez, I could write this. Thinking back, that’s probably the first time I knew I wanted to be a writer. Those moments when my students say that same thing after reading something is when I know they are writers. The assignment in my 8th grade English class was to write one to two pages analyzing Keats’ poem. There’s nothing worse than having to analyze a poem essentially beating it to death, and me being one who loves to create my own rules, I decided instead to write my own ode which I titled Ode to a Can of Crisco. I got a can of Crisco out of the hutch in the kitchen and I remember sitting on my canopy bed and feeling so alive as the words just spilled out of me. I started writing and I couldn’t stop, couldn’t put my pen down. 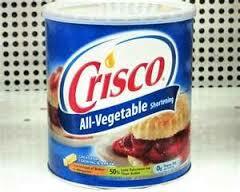 When I turned my ode in the next day I didn’t care if I flunked the assignment because the process of writing Ode to a Can of Crisco was so thrilling it was worth the risk of getting an F. When the teacher returned my paper, an A- was in a circle on the top of the page. I love the word ode, love the way it sounds, love how it rolls off my tongue. Merriam-Webster defines ode as “a poem in which a person expresses a strong feeling of love or respect for someone or something.” I’ve been thinking about that word, ode, a lot lately. Whenever I’m feeling overwhelmed by everything that is happening to me, feeling stressed about having to start chemo/radiation/IV infusions of Herceptin/having to take estrogen blockers for the rest of my life, when I have to be careful to not cut my right arm or hand, when I have to stop myself from lifting anything heavier than a gallon of milk, I take a breath and say to myself, “It’s ok, I’m alive. It’s ok, I’m alive.” I remember how much I love being alive, how much I love life. I’ve started writing something I’m calling An Ode to Being Alive, a line here, a line there, which is keeping me grounded. I am alive and I want to stay alive, so I have to do what I have to do to get through this next year. There are risks involved in my treatment but I’ve accepted them because I want to be here for a while. The risks of my treatment aren’t going to feel anywhere near as wonderful as writing Ode to a Can of Crisco felt, but I think they’ll be worth it. When I’m in the thick of everything, I’ll remember to tell myself, “It’s ok, I’m alive,” and I”ll add another line to An Ode to Being Alive. Maybe I’ll post it here when I get to the other side of this next year. Thanks for reading, it helps. A lot. Keep being alive. Keep writing. Take us on this journey. Especially for those of is who can’t be there in the room. Your writing is touching the very marrow of it all. Wow… like, super-duper. Strength and healing light to you! Know that you are loved! Am happy to read your words now and all year long.